NSA global reach is omnipresent. 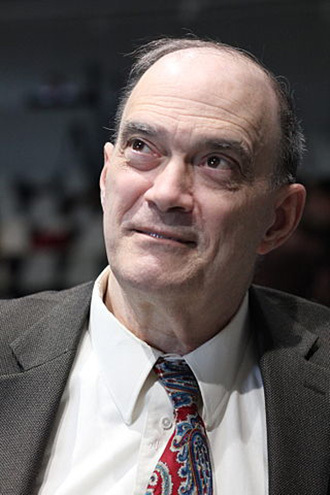 The US intelligence controls the entire cyber network across the globe, violating individual piracy by storing endless data on its increasingly enlarged servers, former NSA crypto-mathematician, William Binney, told RT. RT:This investigation that’s in place, is that anywhere near sufficient in order to tackle the threat posed by the NSA? RT:How do they go about doing that? What is the nature of the parallel construction? WB: What that simply means is that normal policing procedures are used to acquire information that gives you probable cause to arrest somebody. RT:Why was it important for you to come and speak to the committee today? WB: Because I wanted to make sure that they understood certain things and what the real issues were as far as I saw them. I wanted to convey that to them. Hopefully raise their understanding is to what real issues are about and what the threats are to democracy around the world. RT:You talked about a moral standard that has to be set. What is that standard and how do you go about setting it? WB: Fundamentally it boils down to the respects of the rights of others and their rights to privacy and their right to be left alone. That is the foundation of our constitution that says that they have the right of free association, and due process and privacy. And the right not be testifying against themselves. Those are all the rights of part of the respective people as individuals. RT:Is there any way we can have a truly clear view on the extent and the scope of the spying the NSA carried out? WB: Well, I mean, you can take a look at the storage facilities they are building to get an idea of how much they are taking in, like a million square foot storage facility in Bluffdale, Utah; another 600,000 square foot facility they are starting to build, they started last summer in Fort Meade, around Fort Meade. And then 400,000 square foot facility they have down in San Antonio; and other storage that they had existing all along at Ft. Meade as well as other facilities around the world. I mean if you see the storage that they are bringing online, you can say they are really collecting awful lot of information. So my estimate is in zettabyte category of collection. Cisco did the estimate, Cisco they do the routers, I guess they sold the routers to NS, so they did an estimate that in Bluffdale they felt that it was very likely that they were ingesting on the order of 966 exabytes a year, by 2015. Which means that zettabyte a year goes into Bluffdale alone if you accept their estimate. Its billions, and billions, and billions, and billions, and billions – it is a lot of data. By the way if they made a breakthrough in quantum storage, then zettabytes are not enough, then yotabytes aren’t either. So we have to get a new term, and I have been advocating the next term should be “alotofbytes”, something like that, or a “bunchofbytes”, something to be humorous about it, you know. 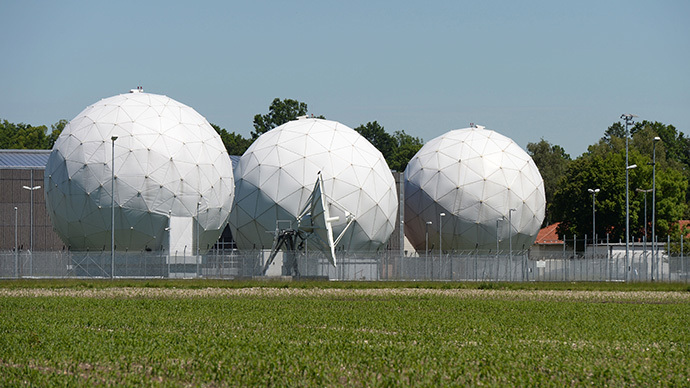 RT:How closely were the Germans involved with the NSA in spying on the German people? WB: Well, I do not know that they did that, I don’t know they spied on the German people. I have no first-hand knowledge of that at all. I do know that they are looking at the internet. That is the problem I tried to get them interested in doing and I think they have adopted some of that but how much they are doing, I do not know. RT:And with Edward Snowden, what is next for him? What should he be doing? Could he ever come here to Germany? WB: I think it would probably be a dangerous thing for him. After all the US government under the assumption that he's being conveyed by the President of Bolivia's plane, they grounded that plane in Vienna, Austria. So that shows the desperation they had to have to get him. So if he came in into this country, there is no guarantee that he could not be rendered somewhere. So I would not think that his security would be too great if he came here, in my own opinion. RT:Interesting. Are you suggesting for him to stay in Russia? WB: Yes. He is protected there at least, I think. RT:What are the biggest threats that the NSA caused to people here in Germany? WB: The fact that they have all the data, they are basically collecting, they own the network fundamentally the way that I view it from all the exposures that have been published by Edward Snowden's leaks. It looks very much to me that they own the entire network anywhere in the world. With implants in the order of 50,000+, and with the taps in the fiber lines and collaborative efforts with companies and other agencies, well it seems to me that they simply own the network. So the point is around the world no one has any privacy. There is nowhere to hide. RT:And what is the danger of that for the private individual? WB: The danger is you can't really say, I'm not doing anything wrong so I have nothing to fear, right? Because that is irrelevant. What the individual thinks is irrelevant. Only what the government thinks and what their perspective that individual and what they are doing is relevant. Plus I would add that is a good quote from Joseph Goebbels.